Tribeca‘s own Ghislaine Viñas is back with another loft interior in the neighborhood that is a dynamic combo of sophistication, whimsy, and a harder edge. The playfully shaped accent pieces and confident color combinations are the finishing details that make Ghislaine Viñas’ signature style. From a cable wired bed frame to the dark wood dining room table, the range of material, color, and influence used in this loft is nothing short of a good time. The living room, dining room, and kitchen share an open floor plan surrounded by large windows. 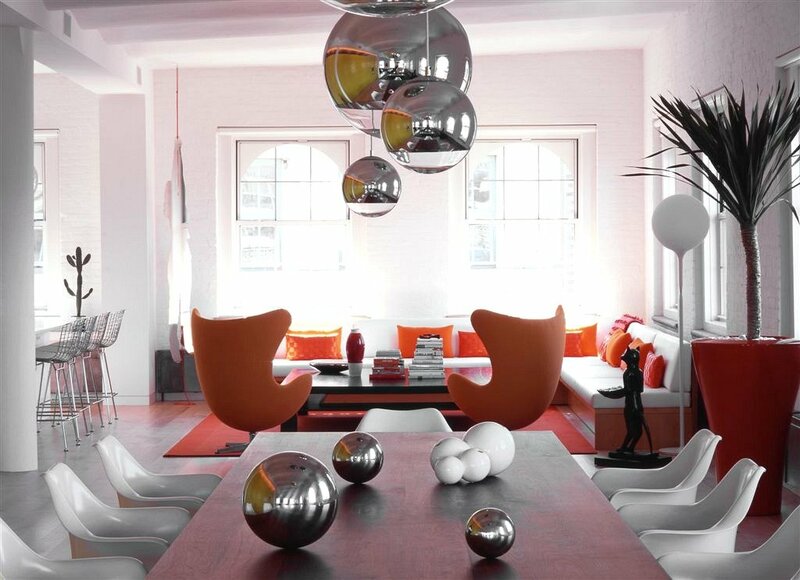 Running down the center of the space is a dark wooden table that is offset by modern white chairs and a light fixture made of chrome globes varying in size and height. 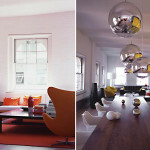 At one end of the table, the sitting room and kitchen feature warm orange hues that have been softened by the use of white, reflective surfaces. A mirrored silhouette of a girl swinging from a rope hangs playfully in the corner, and a second set of chrome globes float over the kitchen’s gray marble island. The living room, located at the opposite end of the dining room, is more formal and incorporates cooler tones. Gorgeous black sculptures are used to accent the room, a style found throughout the loft, bringing together some of the more opposing design components. The bedroom shifts to a muted gray color pallet. The interior door is made up of a patchwork of silver metal scraps reflecting the same cool tones found in the bed’s wallpaper-headboard and cable wire frame. The office space is mostly white with blocks of green found on the underside of the desk and carpet. A flat wire sculpture is mounted from the ceiling, functioning as a wall without compromising the movement of light and air throughout the space. 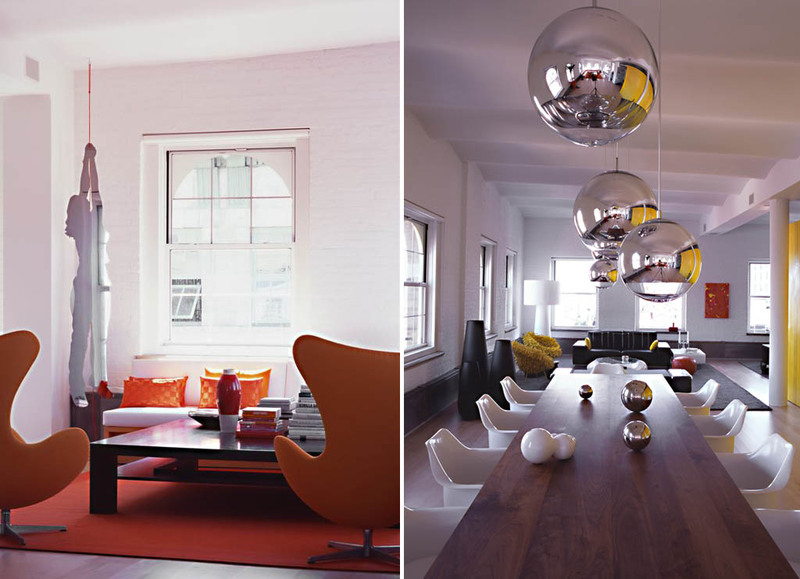 This loft is filled with intelligent details that make Ghislaine Viñas different from other designers, as well as a perfect candidate for defining the look and feel of a quintessential Tribeca loft. 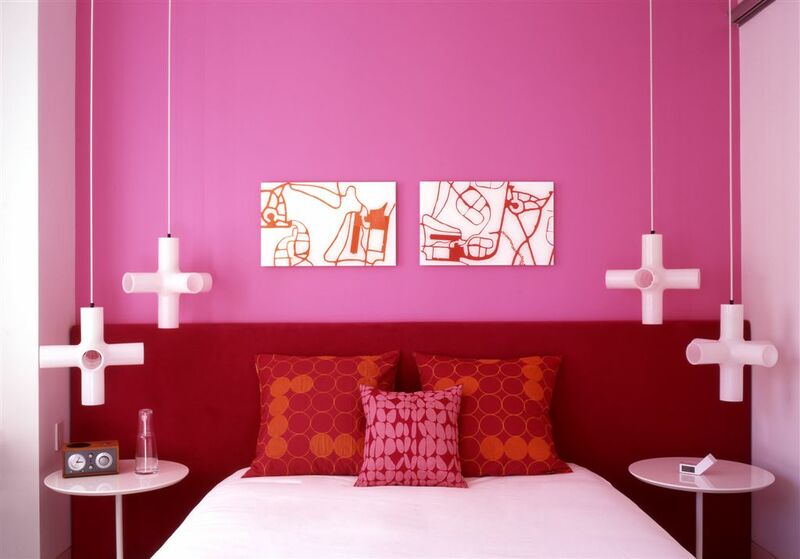 You can see more photos in our gallery below, or check out Ghislaine Viñas’ other fabulous design projects here.